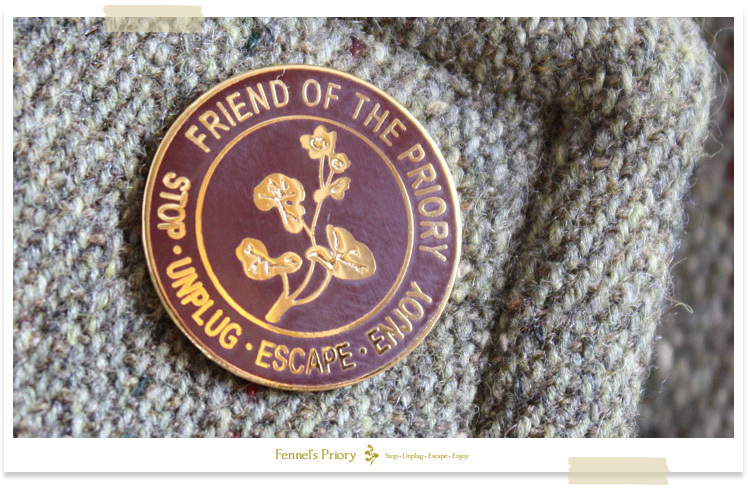 Friends of the Priory are those who believe in and live the mantra of 'Stop – Unplug – Escape – Enjoy'. They understand the value and beauty of the natural world, they appreciate a slow-paced life and remain individual irrespective of fad or fashion. They trust their instincts and know what they like. Proud of whom they are, they stand tall knowing they are stong in numbers. 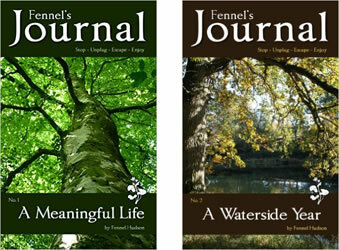 And of course, because of this, they've discovered Fennel's books and actively share the message. No need to join – you're already here! "You don't 'join' the Friends. By being here you're already one of us. You know how important it is to stop the wheels for a bit, to unplug from the daily grind, to escape to a happy and peaceful place where you can do the things you love." The great thing is that, as our friend, you're not alone in your desire to be free. We're always there with you, in fondest spirit, wishing you the greatest success. You can purchase a Friend of the Priory pin badge here.